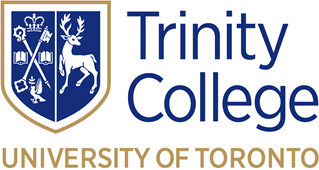 Welcome to the Orthodox School of Theology at Trinity College, integrated with the Trinity College Faculty of Divinity at the University of Toronto, dedicated to theological education and the formation of Orthodox Christian clergy, theologians, teachers and other co-workers of God. Subscribe to our mailing list and receive regular news and event updates. Orthodox worship services in the chapel of Trinity College are served in English in conjunction with Holy Myrrhbearers Orthodox Mission. The rector of the mission is the Very Rev Fr Geoffrey Ready, who is also Co-Director of the Orthodox School of Theology. The Orthodox School of Theology at Trinity College welcomes all Orthodox Christians, from both 'Byzantine' and 'Oriental' traditions, as well as Eastern Rite Catholics and Western Christians who are interested in the history, faith and life of the early church and the Christian East. For more information about studying theology, whether for adult education or as part of a Master of Divinity (MDiv) or Master in Theological Studies (MTS) programme, please get in touch.